Today on the blog I have some beautiful polishes from the Melbourne based polish company, Polish Envy. They contacted me to try some of their polishes and I was really excited to, since I love Australian polish and supporting Australian companies, plus I had never heard of the brand before and I love trying new companies to test formulas and quality. 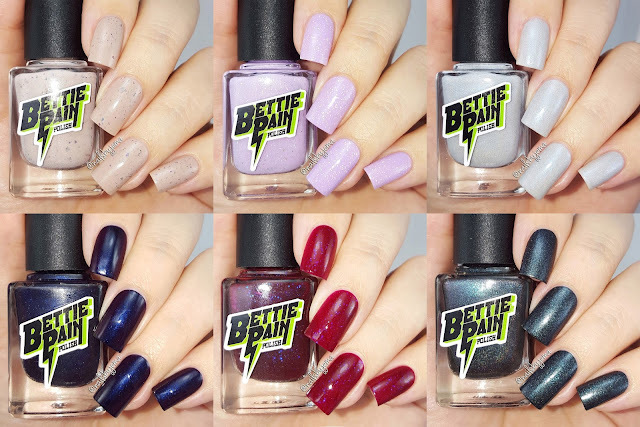 I got sent 4 frosted shimmer polishes to review from Polish Envy that are the perfect shades for Easter and spring, so let's get to the swatches! 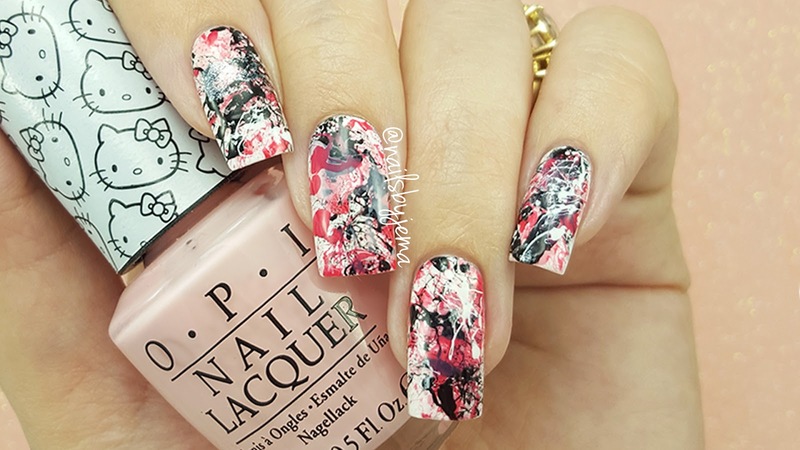 Did you say Hello Kitty by OPI splatter Nails? Sounds like a great idea to me! To do these I used 4 of the Hello Kitty by OPI polishes. SO edgy and graphic without any tools or high skill level needed. Just make sure you give yourself a break between doing each hand or you may pass out from all that blowing. This easy (and very messy) design is perfect for any skill level and all you'll need to do them is polish, a drinking straw and a peel off barrier or tape to help with clean up.